Seniors often get lost in the cracks when it comes to being able to take care of themselves on a fixed budget. One expense that most seniors are avoiding is dental care because it’s often expensive and not always covered by Medicare or Medicaid. 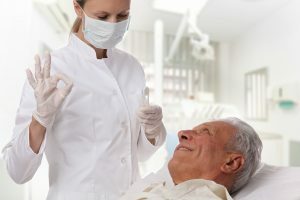 Finding affordable dental care is often hard to do for seniors, and some seniors believe that it’s not possible to find a dentist that they can afford, so they don’t bother looking. Strides are being made to help make oral health care an affordable service for seniors. Several states already require Medicaid to cover dental procedures, but not all. Maryland is one of those states that doesn’t require it. However, many of the managed care organizations that handle Maryland’s Medicaid patients are starting to offer dental coverage, but this coverage is often capped or has a coinsurance. In addition, emergency dental coverage is available, but this is typically for the symptoms of the dental problem rather than the cause. 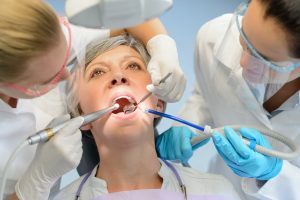 For instance, the patient may be able to get coverage for antibiotics to clear up an infected abscess and pain medication, but the dental problem that caused the emergency isn’t able to be addressed with this coverage. The Maryland Dental Action Coalition is backing legislation that’s studying the need for dental coverage for adults. It’s looking at the amount spent on dental issues that result in emergency room visits to see if there should be an expansion of the coverage. The thinking behind this study is to examine if dental care can result in savings on these emergency services. It’s estimated that these emergency room visits are three times more expensive than getting preventative care. Preventative care is beneficial. Oral health is often seen as something that’s not intertwined with a person’s overall health, but that’s not the case. Issues with dental health can cause other health conditions. In addition, other health conditions, such as arthritis or dementia can cause a person not to be able to provide the regular dental care they should. In providing any medical care, dental should be included, and this Coalition effort can help to make a difference for seniors. Looking for affordable dental care in Newnan for you or a loved one? Contact Parkside Dental Practice to learn about how we work to make dental care more affordable for you and our loved ones. We offer senior discounts and have financing offers. We would love to go over your options with you for better oral health.